Thanks for telling us a bit about your land! Once we get the email we’ll dive into it, and we’ll give you a call within 24 hours so we can get any final bits of information so we can make you a FAIR ALL-CASH OFFER. Our company is a real estate investment company, and we focus on helping provide solutions land owners. Nothing. There are no fees or commissions. 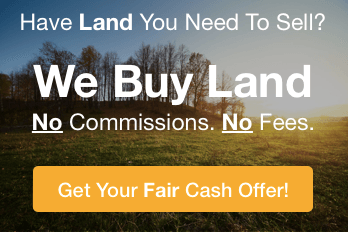 We don’t list your land… we’re looking to actually buy it ourselves. First, we’ll give you a call to get a few more details. Just basic stuff, nothing fancy or complicated. Just enough info for us to know what we’re dealing with so we can make you a fair and fast all-cash offer. Next, if you’re ready to have us buy your land based on our offer, we’ll get the paperwork going to complete the sale. Last, (usually within a week, if you need it that fast) you’ll have the cash in your hand so you can move on… and you’ll have cash in hand rather than having to wait for years and years to collect your payments. – The Havens Land Enterprises Team!